Here's some craptacular audio - we were competing with a generator and a kid learning to whistle. Taken at the trail head parking lot at Santa Elena Canyon in Big Bend National Park - observed from about noon until 1 pm with only 3 separate vocalizations heard during that time. Pics to follow. The video clips below are for audio purposes only! Part 2: VERY faint, a few light notes in the first few seconds. Crank up the volume! *EDIT* Some just received TX-Birds back story from the party that found this bird. Click Here. Sorry to fling out a hasty post, will flesh it out when possible. Audio taken with point-and-shoot options, thus you can't even find the bird in the videos! 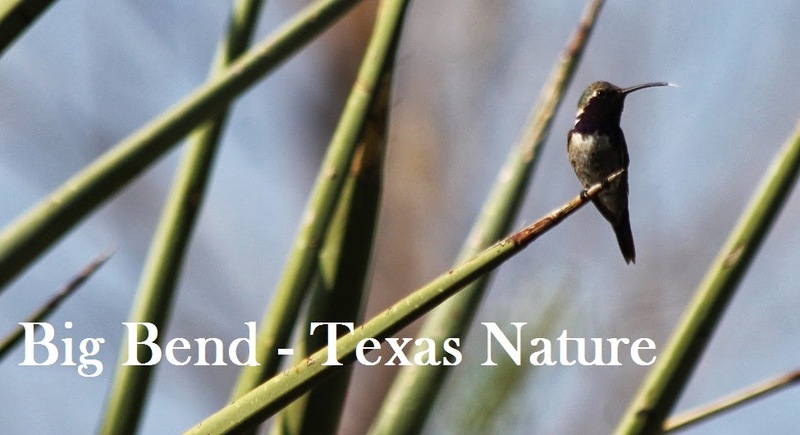 *EDIT* A link to the archive of Matt's post to TX-Birds list-serv. This was posted when we arrived home that same day. Click Here.